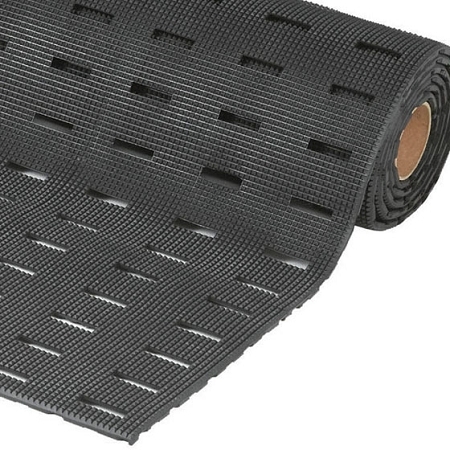 The 422 Cushion-Dek with Gripstep Floor Mat is created from 100% recycled materials and engineered with slotted perforations and gritted raised pyramids that provide anti-fatigue, excellent foot tracking, and drainage for wet applications. 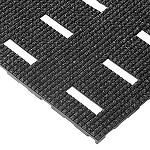 Slotted perforations hold liquids in place while the channels on the bottom of the safety mat allow the liquids to drain out of the pockets ensuring safety of workers from slipping. 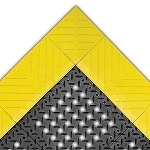 A thick gritted layer is applied on top of the raised pyramid design of the floor padding for added foot traction in extremely slippery work areas. 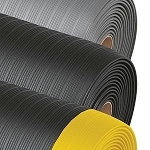 Muscle fatigue and back pains will be kept to a minimum due to the 7/16 thickness of the floor covering increasing work performance. To clean, simply wash with water and mild detergent to restore new look. 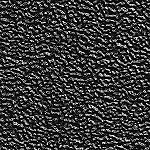 This floor covering is available in many different dimensions to meet all your customization needs.